We are happy to welcome Petri Räisänen back to MYC in May 2016 for a 4-day Mysore workshop and additional in-depth classes on primary and intermediate series. Petri Räisänen is an internationally known and respected Ashtanga yoga teacher. 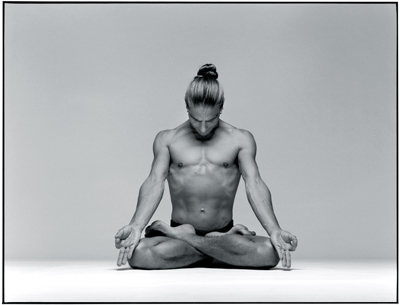 He started practicing Ashtanga in 1988 and teaching in 1990. Petri is co-owner and director of Ashtanga Yoga Helsinki, one of the world’s largest Ashtanga yoga shalas, blessed by Sri K Pattabhi Jois to teach the traditional yoga method. Petri was a devoted student of Pattabhi Jois, and was authorized by him to teach in 2001. Petri has been teaching internationally around the world for over a decade and he lived in New York City for several years until 2008. His teaching style and adjustments are gentle, effective, therapeutic and originate, besides his own practice and teaching, from his past work as a traditional folk healer and naturopath. In 2004, Petri wrote “Ashtanga – The Yoga Tradition of Sri K. Pattabhi Jois” in collaboration with Sri K. Pattabhi Jois and his grandson, R. Sharath Jois. His intermediate series book “Nadi Sodhana” was released in 2008. Both books are written as part of Petri’s ongoing pilgrimage into Ashtanga yoga’s inner world, with a great sense of respect towards Sri K Pattabhi Jois and the Ashtanga tradition. Petri focuses on integrating healing and therapy with yoga, meeting student’s individual needs and guiding their progress. His friendly, relaxed behaviour and intutivite perception give an open, energetic and meditative atmosphere to his classes. Petri’s Mysore teaching gives you an opportunity to experience the wholeness of the practice, and his teachings aims to lead to an experience of deep concentration (pratyahara) and meditation (dhyana). This workshop is suitable for all levels of students with an established Mysore style Ashtanga yoga practice. Full payment is required to reserve your spot. There will be a 20% administration fee on refunds for cancellations made one week in advance. There are no refunds for cancellations made less than one week prior to the workshop start date. Everybody needs a little time away. Escape daily routines and outer demands, and encounter the joy of Ashtanga Yoga, Meditation and Self-discovery in nature’s perfect setting: Swedish Lapland. Here, in the Land of the Midnight Sun, you will find the ultimate combination of relaxation and adventure, letting you deepen your knowledge and enhance your connection to practice. Encounter wilderness and possibly the purest air youâ€™ll ever breathe; indulge in plenty of the things that are in scarce supply elsewhere: time, space, tranquillity, silence, clean water and bright, magical midsummer nights. This 7 day retreat offers Ashtanga Yoga classes for all levels (beginners, intermediate and advanced), under the guidance of Petri Räisänen. Petri will be accompanied in the shala withWambui Njuguna and Aksana Kurola. Passionate about yogic food, Fredrik Gabrielsson will be the retreat chef, specializing in super delicious Western, Indian and Thai food! All recipes are vegetarian or vegan with plenty of raw food options. 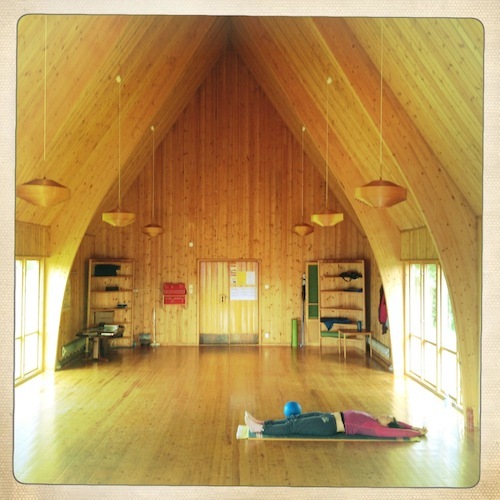 We invite you to enjoy your Yoga practice in one of the most quietly healing Yoga shalas around, a wooden chapel with large windows which display the natural beauty of the surroundings, with the midsummer sun radiating its goodness for all. The perfect relaxing yoga holiday, a retreat with a difference! Yoga can be an effective and beneficial tool for reaching a more peaceful state of mind, managing stress better and getting physically fit. Our workshops and retreats are designed for people with normal physical and mental conditions. If you are on medication, are currently taking (or have taken) therapy and/or counseling, or have any known mental condition(s) that would in any way hinder your participation in a workshop or retreat, please let us, and your doctor/therapist know before registering. We do not provide any specialists at our workshops/retreats who would be able to help, should the need arise. If a student’s behavior causes disruption for other workshop participants and the teachers, it is requested that he or she stop participating in the workshop and seek appropriate help. In such a situation, we do not offer refunds, but are available to provide any documents necessary for insurance claims.